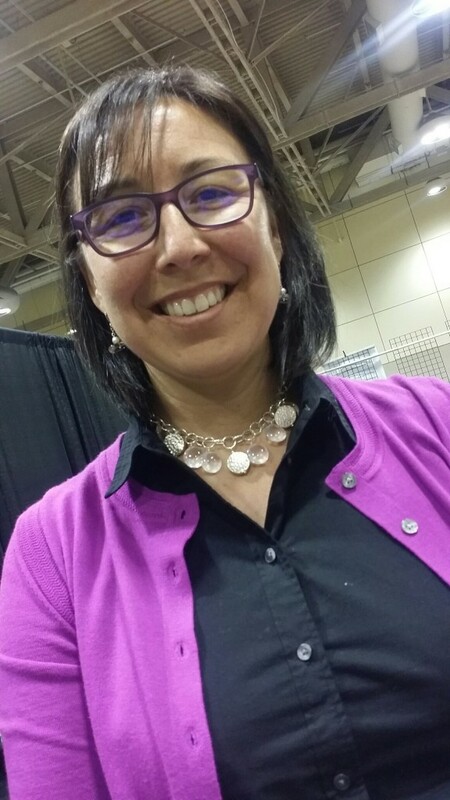 What an amazing time I had at the World Indigenous Peoples Council on Education conference held in Toronto last week! 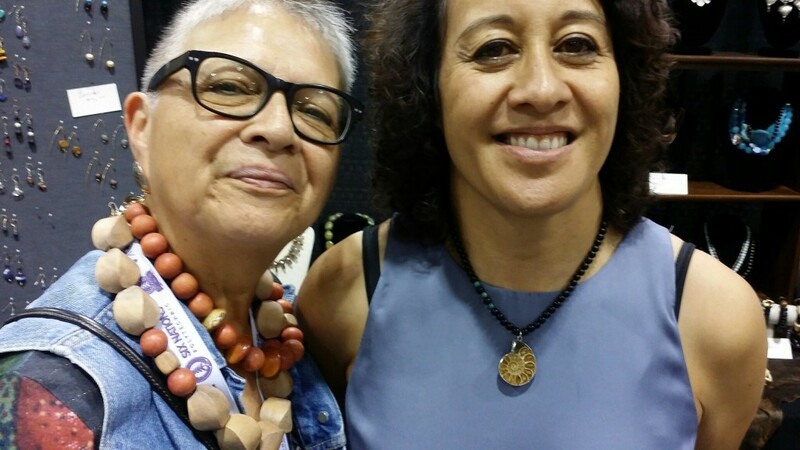 Indigenous people from all over the world and I was so fortunate that Blue Dawn Jewellery was accepted as a vendor at the conference. And so fortunate to meet many of the 3,000 delegates – Indigenous people – from all over the world. My designs have gone off to the four directions and that is thrilling beyond belief. Australia, Hawaii, the Arctic, Labrador, New Zealand, Manitoba, Saskatchewan, Northwest Territories, Colorado, Michigan and more. I didn’t get photos of everyone wearing pieces they bought, but I did get some. Ammonite fossil pendant on ebony wood with turquoise accent beads. 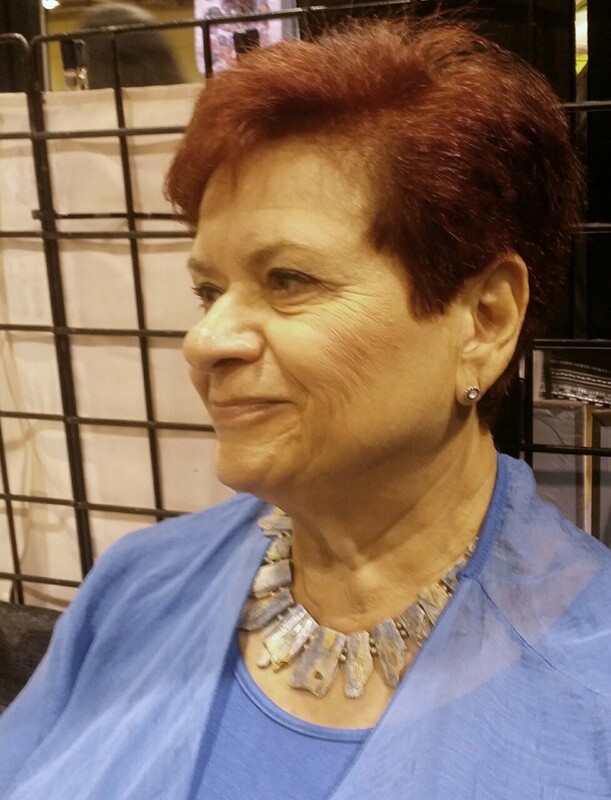 I’m wearing a double strand wood necklace with coral bead accents. My necklace can also be worn long. 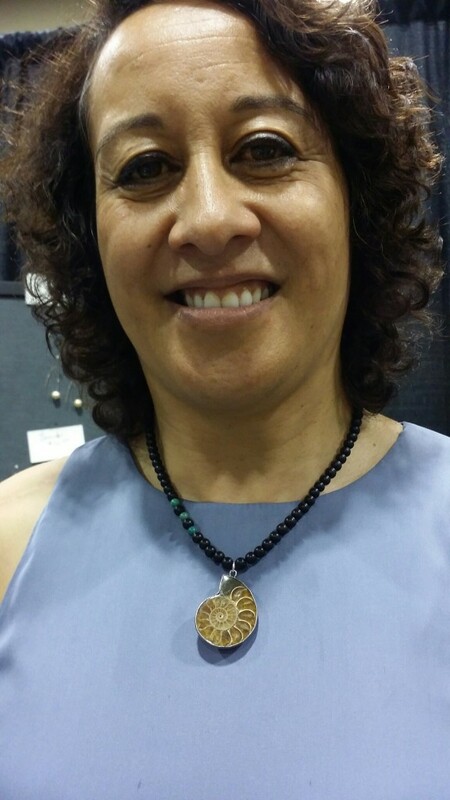 A closer look at the extraordinary pendant and the beautiful Maori woman who took it home. 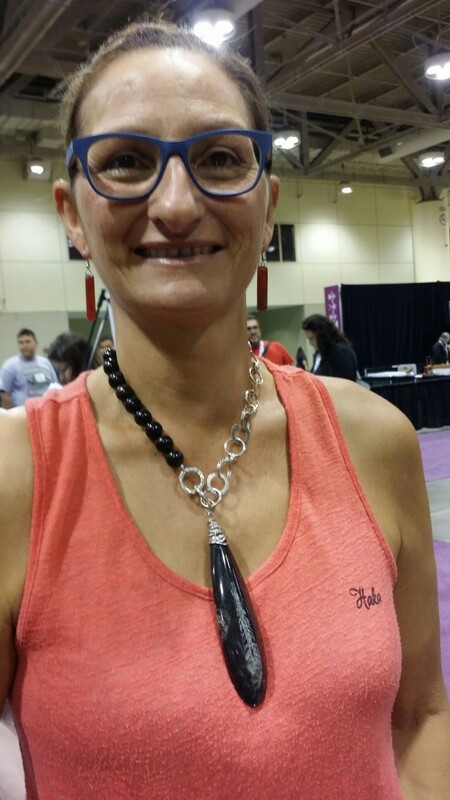 This beautiful woman took home a necklace with faceted rose quartz and sterling silver pieces on sterling silver chain. It suited her perfectly. A closer look at the necklace that she was wearing to the gala dinner and closing ceremonies at Fort York that evening. This gorgeous and very striking piece made with Kyanite and sterling silver has gone to a very good home in St. Catherines. This piece was, by far, the show favourite. So many people came to visit it on a regular basis and were completely astonished that the pendant was a fossil that I had wire wrapped. There is what looks like a feather on the fossil and it’s a completely natural design – I did not etch it. I wrapped it with sterling silver wire and hung it from sterling silver chain and buffalo horn beads with a sterling silver clasp in the front. The pendant can be removed and the necklace work on its own or with another pendant. It will have an extremely good home in New Zealand. 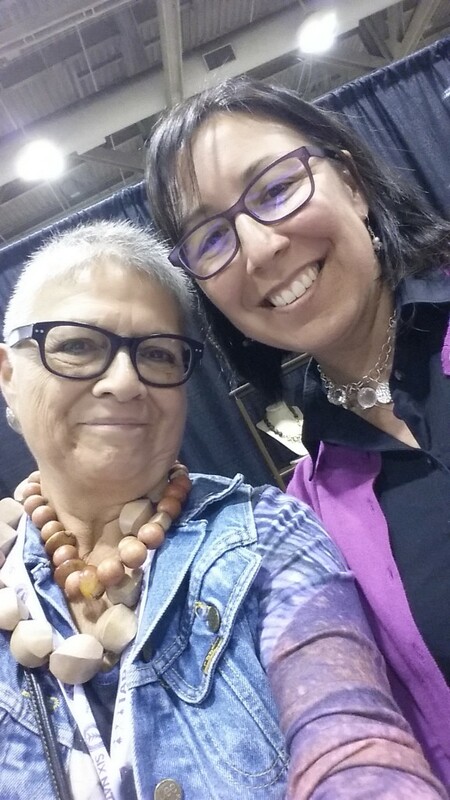 I’m so grateful that I had the opportunity to meet so many wonderful Indigenous people!